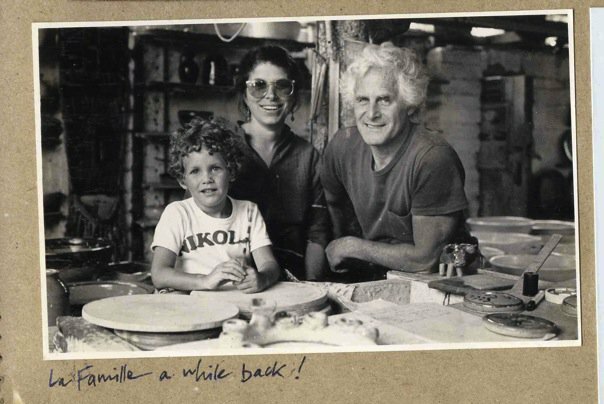 Hyme Rabinowitz, internationally renowned South African Studio Potter. Please share your memories, anecdotes and stories, and add your photos of him and his work, his family, friends and colleagues. From: ‘Contemporary Ceramics in South Africa’ by Wilma Cruise and Doreen Hemp, 1990. Cardew’s observation is important when seen in relation to Hyme Rabinowitz’s work. Rabinowitz’s studio is at Eagle’s Nest, high on the slopes of the Vlakenberg Mountain in the verdant Constantia Valley in Cape Town, and place is an important element in the creation of his pots. Amongst the fynbos, and far away from roads, traffic and suburbia, Rabinowitz works in lofty isolation in a rural retreat which, in spite of its apparent remoteness, remains surprisingly and usefully close to the city. 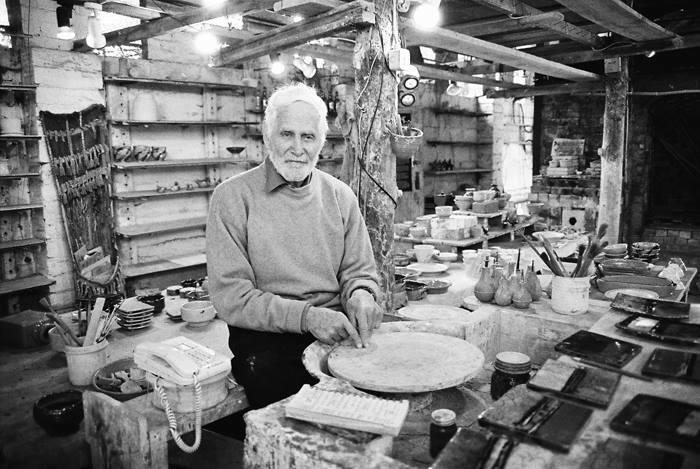 Rabinowitz says that he was first attracted to pottery because it was an outdoor activity. Although he does not necessarily endorse Michael Cardew’s philosophy of country and town pots in a literal way, the parallels are there. In the simplicity of his lifestyle and the way in which that simplicity is expressed in his work. Hyme Rabinowitz is the essence of the modern country potter. Pottery for him is a ‘down-to-earth’ activity, and he means this quite literally. Clay, earth, fire and water, and the processes whereby these elements are manipulated, form the essence of his ceramics – like Cardew, he is a ‘mud and water man’. He has a metaphysical regard for his materials that includes a belief that mixing clay is not just a mechanical process that needs to be performed, but ‘a nice human process’. Rabinowitz lays great stress on the basic form of his pots, maintaining that form accounts for ninety-five percent of what a work ultimately achieves. Glaze and decoration are relegated to making up the other five percent. Rabinowitz’s approach to his work is determinedly that of a craftsman. The ideal pot is achieved only through a process of repeating the same form over and over again: it does not arrive by divine inspiration or through a brilliant creative impulse on the part of the artist. Adopting a somewhat challenging position, Rabinowits denies that he is an artist. He says, ‘I have and artistic love, but no artistic ability’. By saying this he fans the fires of the art – craft debate, and perhaps it is true to say that he is the last great exponent of this dichotomous approach to ceramics. Thank you for spending time on our Hyme Rabinowitz pages.